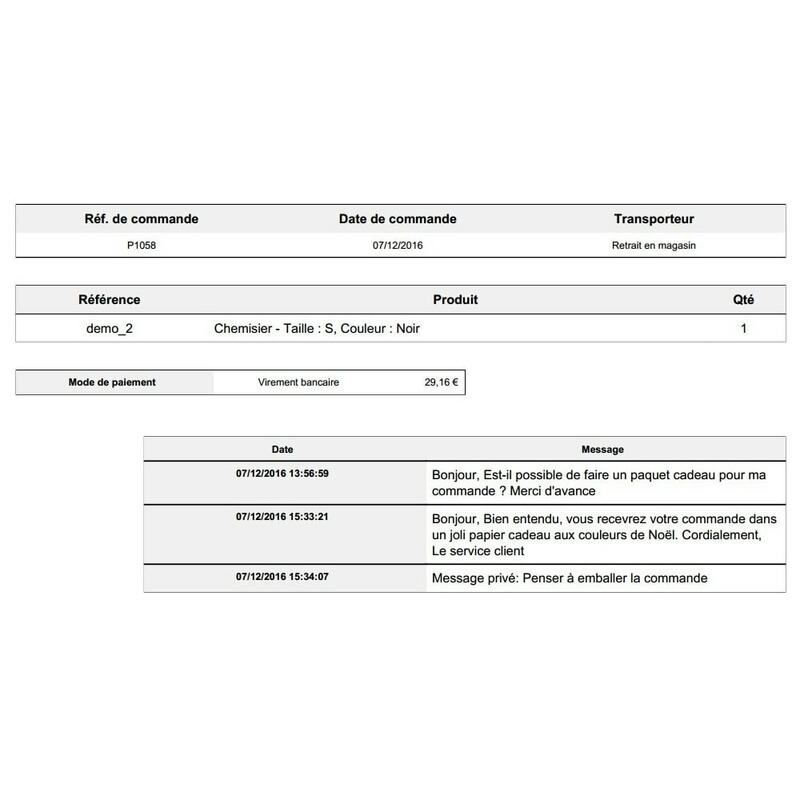 Thanks to this module, all conversation with your customer regarding his order will be visible on the invoice, on the delivery slip, or on both of them. You get to chose ! 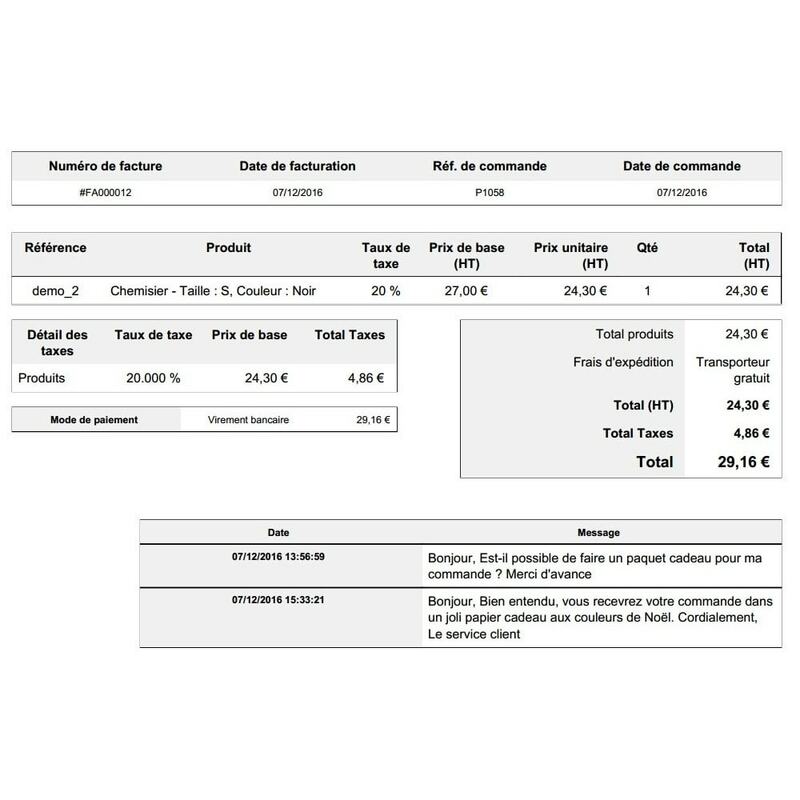 You are free to chose if you want to display them only on the invoice, only on the delivery slip or on both. 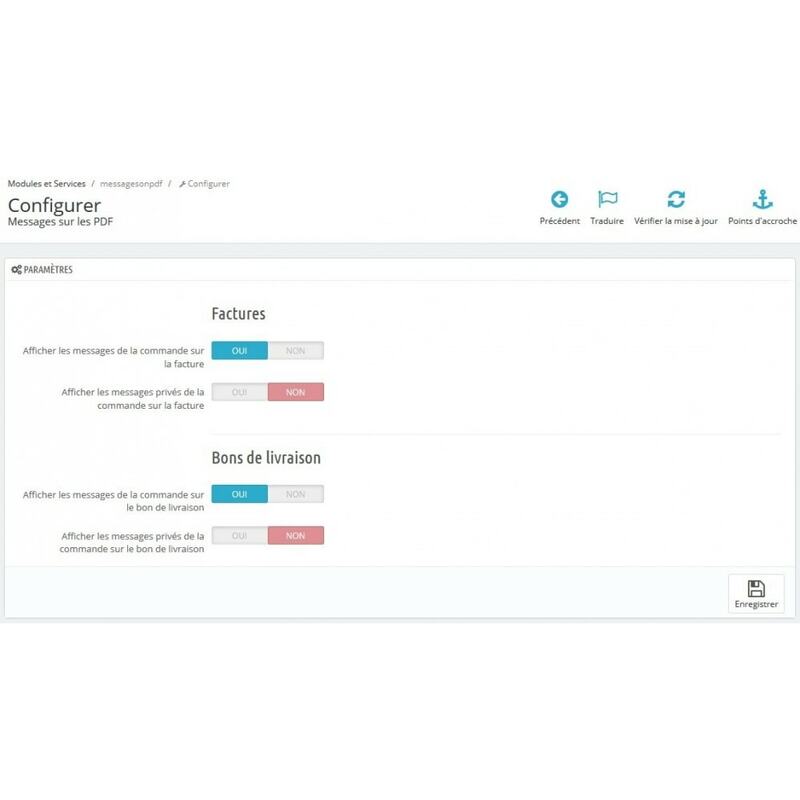 It also allows you to chose if you want to display the private messages, those visible in your back-office, but hidden from your customers. There again you can decide to display them only on the invoice, only on the delivery slip or on both.